Sporting applications involving eBikes are becoming increasingly popular. In particular eMountain bikes are performing very well and reaching an ever-growing audience. 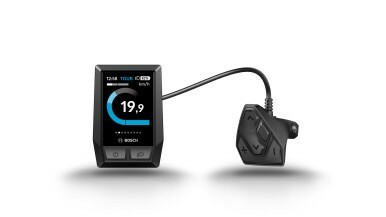 Bosch eBike Systems is actively promoting this trend, supporting projects and initiatives that push the sport forward. This includes the municipality of Münsingen, which operates the local Mobility Centre. To ensure that the guides who travel the slopes of the Swabian Alb receive the best possible preparation for riding the terrain with electric support, a riding skills training course was held on 20 April 2018 together with eMTB professional Stefan Schlie. "eMountain bikes are playing an increasingly important role in tourism regions. In order to ensure even more riding enjoyment with electrical support, we support projects such as the Mobility Centre in Münsingen. We have been collaborating with the Centre very successfully since 2016,” says Tamara Winograd, Manager Marketing and Communications at Bosch eBike Systems. Last year, the Mobility Centre recorded a total of 1,600 eBike rentals. These were used to cover around 115,000 kilometres. "With a fleet of 23 eBikes, an average of around 5,000 kilometres per eBike was covered. That's an impressive statistic, "says Hans Peter Engelhart, Head of Tourism Information Münsingen. "We find that eMountain bikes are very popular. At present, our Mobility Centre can rent out about 15 eMountain bikes - and the demand for courses is steadily growing." With the support of Bosch eBike Systems, the municipality of Münsingen has implemented a pilot project aimed at promoting tourism. 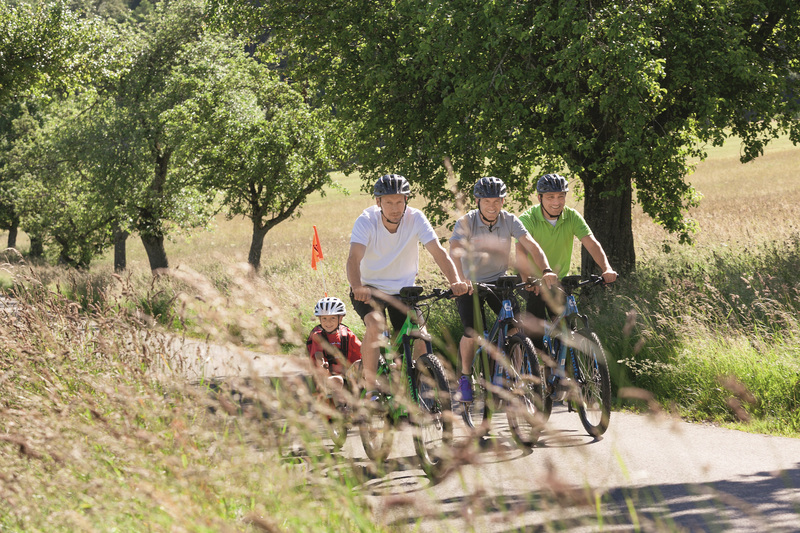 A Mobility Centre has been established in the Swabian Alb region that has been in operation since May 2016 as a pedelec rental service, and as a starting point for eleven GPS-based eBike tours through the UNESCO-recognized Swabian Alb biosphere reserve. Pedelecs with Bosch drive system plus Nyon on-board computers are available for these idyllic tours. 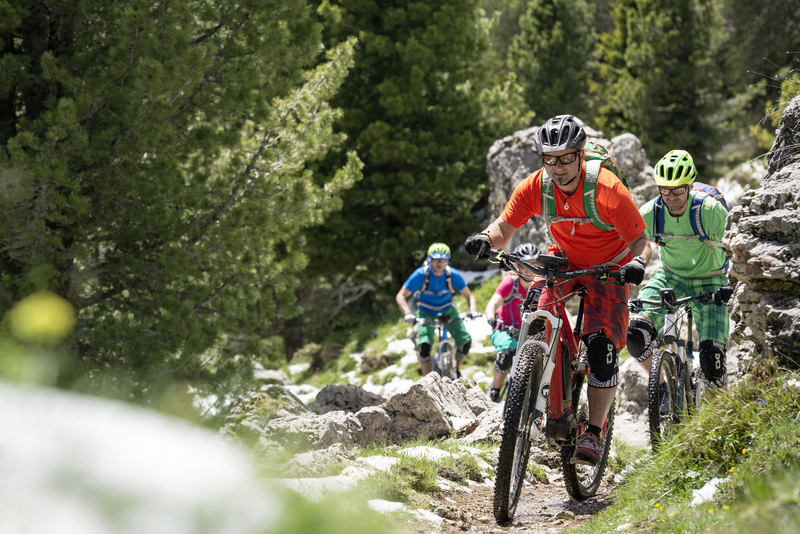 From step-through models to eMountain bikes – there's something for every eBike user. The distances covered by the tours are between 40 and 110 kilometres with an altitude differential of between 200 and 800 vertical metres and with a gentle boost in the back for a relaxed eBike experience. Some of the tours offered there are led by eMTB guides, who were now given some tips from the expert in a riding technique training course. 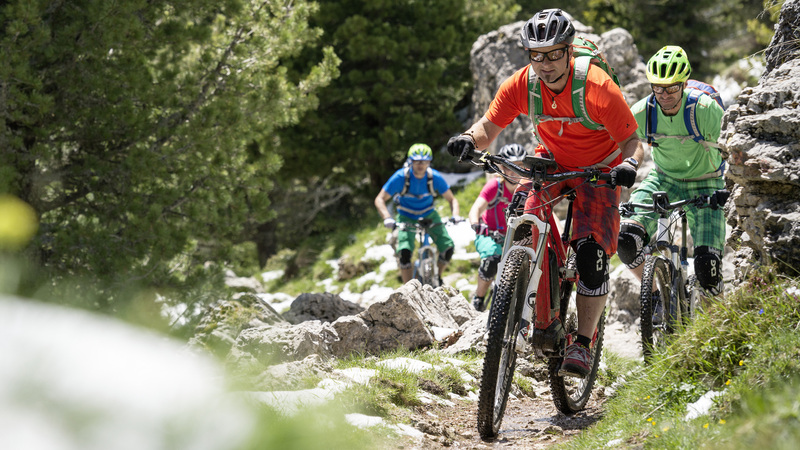 "The aim of the training was to master the eMountain bike safely in all situations - and to really get into a flow through the skillful and well-balanced interaction of muscle power and electrical support. The right technique is crucial here - for riding uphill, travelling over gravel, as well as starting and braking off-road, "explains former trial world champion and eMTB expert Stefan Schlie. The training afforded the guides by the expert will also benefit their "pupils" later on. You have all the possibilities that a "normal" mountain bike can offer - and a lot more besides. When on a tour with a traditional mountain bike, it takes you about four times longer to do all the uphills than it takes for the downhills. In addition, the radius that can be covered with an eMountain bike is significantly larger. Physical input is still in required when eMountain biking, but can be individually applied. eMountain bikers you can ride with as much or as little electrical support as they wish. With up to 300 percent power on top of your personal contribution, you have a lot of room to explore the new possibilities for yourself. Flow is precisely the zone between overexertion and underexertion, a state where you are challenged but still feel good. Traditionally, mountain bikers achieve this in downhill situations. The eMountain bike enables flow through the interaction of muscle power and electrical support, even uphill.